More balanced parts, a more intuitive tech and contract progression, some useful probe/greenhouse/etc. parts and configs for RemoteTech and CustomBarnKit! Modding is a lot of work, if you are interested in the continued maintenance and development of the SETI mods, please consider supporting them via patreon. By accepting contributions (funds and code) via patreon and forum, I consider it to by my responsibility to not let the mod die because of my desinterest and thus to orderly hand it over before that happens. I also consider it to be my responsibility to not let the mod and thus the contributions be the object of trolls, who misuse permissive licensing to wreck the mod and it's intent of providing a balance and ground work other mods may rely upon, as is so often the case in other modding communities. If you are looking for a more balanced, comfortable and more challenging gameplay without having to manually crawl through a hundred mods every time, this might be it. Simply install CKAN, only click on the "SETI-MetaModPack", then "ApplyChanges", leave the recommendations selected and select those suggestions you like as well. Done. Visual Mods are not included, since they tend to take some time to adjust to new ksp versions and even more time to work with ckan. Only RealPlume and Planetshine (not yet working with ksp 1.3) are in the pack. For more detailed information and recommendations for career settings, please go to the thread linked below called "SETI-UbM Career Challenge (setup takes 5-10min)". RCS Build Aid and AnomalySurvey contract pack are not officially available for ksp 1.3 and thus not installed via ckan recommendations. Rebalancing masses, funds, science (simple ones transmittable for 100%), reaction wheels and much more, for a much more coherent gameplay experience. If you delete/do not install the SETIrebalanceReactionWheels folder which comes with the download, you can opt-out from the reaction wheel rebalance/nerf. For specifically supported mods, consult the github link below. This is the SETI Rebalance MaterialsBay and MysteryGoo MM patch, so that those 2 experiments can not be collected anymore, which makes them much more balanced in terms of mass/science payout. Best used with SETIrebalance. Adjusts part placement for Stock- and CommunityTechTree. CTT is recommended with UbM. Start with simple SRB rockets, have early access to rovers and planes and the Mk1 pod only at a 45 science node. General compatibility with all mods which work with stock, for specifically supported mods, consult the github link below. No reaction wheels until 90 science (use fins, control surfaces, gimbal and RCS instead). Fuel lines later as well. This is the independent contract campaign. Using a probes first tech tree is recommended, like the ones above. This small mod simply reduces science experiment rewards by 70% to balance out the contract science rewards compared to science mode. Provides new stock parts (using stock models) for the 0.625m probe diameter. Includes mini H2/O2 fuel cell, RCS, solar panels, mini shielded docking port, new engine configs and inline probe cores. Configures and redistributes Porkjets PartOverhauls (CC-BY-NC-3.0), so that it fits into stock and VenStockRevamp without replacing parts. Some parts are now 1.875m sized, two engines augment the 0.625m collection, Boattail versions stay 1.25m sized. A diagram of the cycle for TAC Life Support can be found near the end of this post. With it you essentially need only 10% of the water and 20% of the food which is normally used by a kerbal. This is a SETI config for RemoteTech, adding ground stations, changing the KSC range to cover the whole kerbol system (when not obstructed). Signal delay is set to false by default (can be changed in game) and some colors are tweaked. 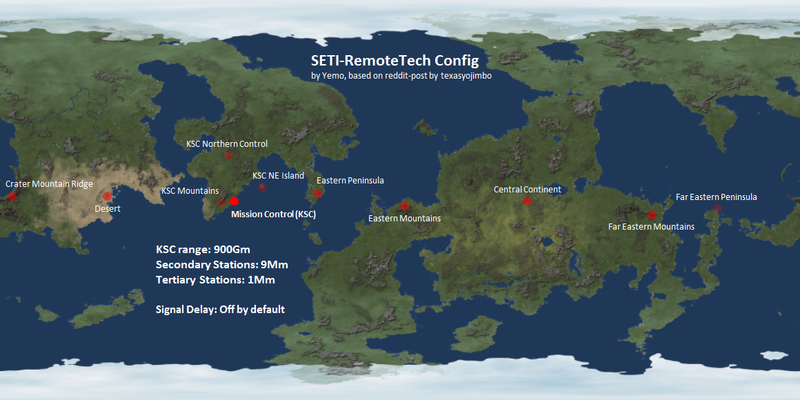 This is a SETI config for RemoteTech, allowing probe control (local control) without connection. Thus a connection is only required for science transmission. Unfortunately this may remove the built-in omni antenna from probes (but not from manned command pods). This is a SETI config for CustomBarnKit, Action Groups are available from the start, Kerbal hiring costs are fixed at 60k, etc. More facility levels are added, the restrictions and costs for upgrades are tweaked to provide a more sensible upgrade progression. The plugin ModuleManager by ialdabaoth and sarbian is distributed under CC share-alike license. The KSP-AVC mini-plugin is redistributed under the GNU General Public License. AutoPruner config by SwGustav, standard hiding of unused parts based on suggestion by Olympic1. SETI basically supports all mods, which work for Stock/CTT, although some might benefit from rebalances. Starting a new career/science/sandbox game is highly recommended for the BalanceMod, since rebalancing means changing stuff and naturally change will affect existing games/craft. This image (outdated, but still viable as an indication) shows the first 5 tech nodes with minimal mods, their part unlocks and example craft for a quick impression of the mod. Craft files are included in the manual download. With SETI-BalanceMod, unused parts are hidden by default, but not excluded from loading. If you want to save RAM, please delete the unused folders manually (make sure that you do not have active vessels still using those parts), see post 2 of this thread. Alternatively you can use the AutoPruner config file made by SwGustav, it is included in the download within the SETI-BalanceMod-AutoPruner folder. Please follow the instructions in the AutoPruner thread! For the SETI-BalanceMod, I recommend a fully modded game, see the "MOD Support & Recommendations" section for a complete list. The full thread can be found here, providing many more details about how it works. It has configs for USI Life Support and TAC Life Support, without those mods it just looks cool. 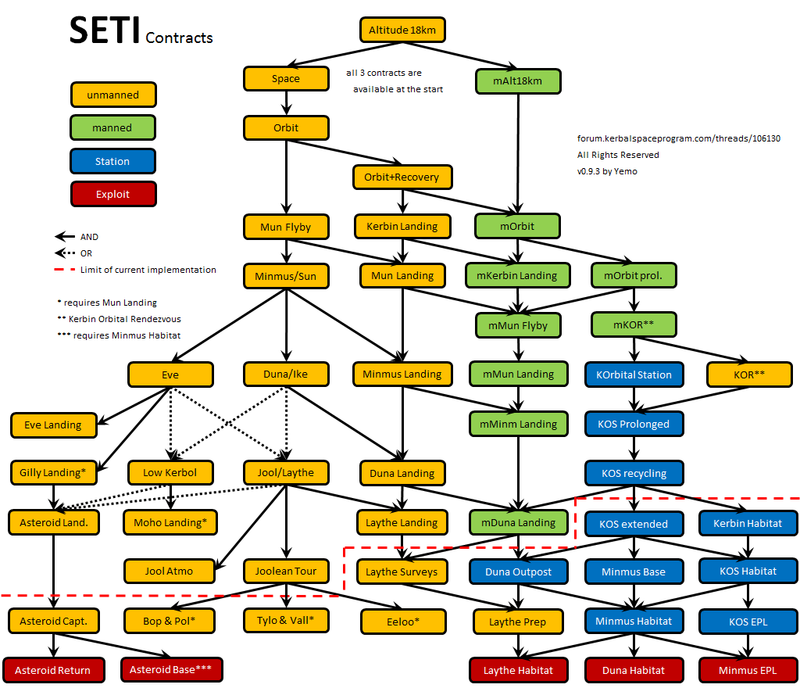 The SETI-BalanceMod download includes SETI-CommunityTechTree, SETI-Contracts and SETI-Greenhouse. Required Mods: Please see the INSTALL section below. It also builds upon the configs and textures of ProceduralParts by swamp_ig, jsimmonds, Chestburster, Dante80, Tiberion, OtherBarry, NathanKell, e-dog and Ancient Gammoner under CC-BY-SA 3.0 license. The engine and solar rebalances are largely based on StockReBalance values by stupid_chris, CaptRobau, m4v and Taverius under CC BY-SA 4.0 license. 4. 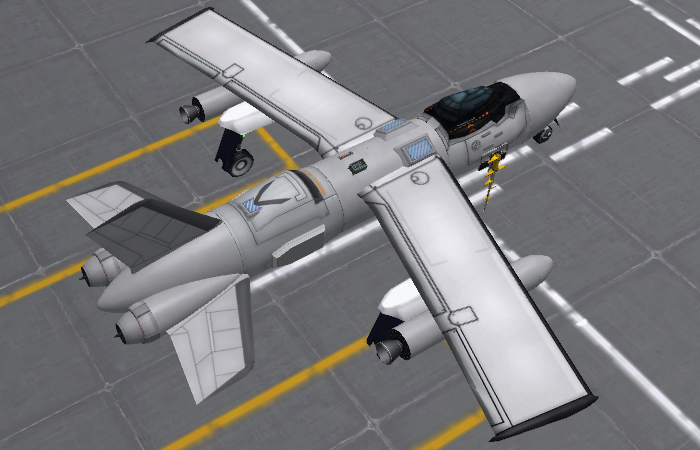 If you install those procedural part mods, they will automatically replace clutter parts like fuel tanks, simple adapters and wings. To use the clutter parts as well as the procedural parts, just delete the "SETI/MM-UnusedParts-B9ProceduralParts" and "SETI/MM-UnusedParts-ProceduralParts" folders/configs. - Procedural Parts - rebalancing stock and procedural parts offers more variety with less clutter, also a lot of SETI specific additions, like a procedural Probe Core! 5. Copy the "SETI" folder and the "ModuleManager.dll" into your GameData directory. 6. OPTIONAL: The "SETI-Craft-~" folders include a "Ships" folder, which can be merged into the "Ships" folder of your savegame, the jets and the FAR designs use TweakScale. 7. OPTIONAL: If you want to save RAM and use the procedural parts, you can use the AutoPruner config file made by SwGustav, it is included in the download within the SETI-BalanceMod-AutoPruner folder. Please follow the instructions in the AutoPruner thread! - Exception Detector - lots of mods and unsure about the culprit? That little plugin gives you directions. - Remote Tech - Probes need a working com connection to be controllable, consider adding RemoteTechXF and reading the great RT Guide! - Throttle Controlled Avionics - essential for powered landings and VTOL! 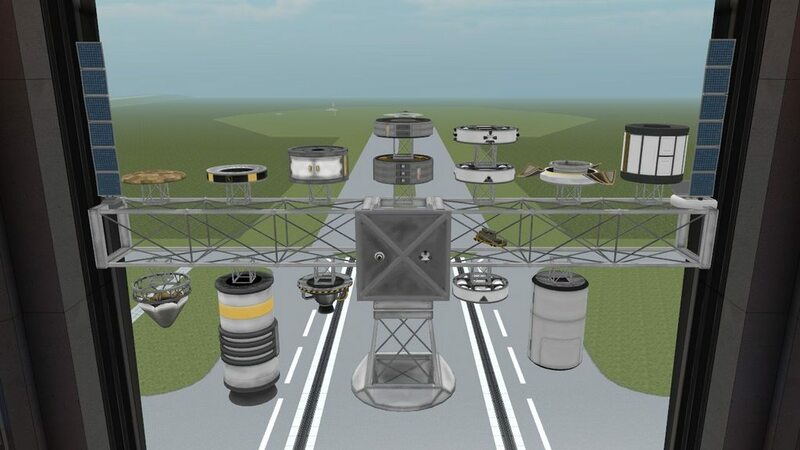 - Kerbal Construction Time - vessels need to time to be assembled by VAB and SPH, so plan ahead! Use latest dev version if used with RealFuels! - KSP Interstellar Extended - if you want an epic game complete with nuclear reactor types, microwave beamed power, massive radiators and cryogenic tanks, this is it! - Universal Storage - One wedge for nearly everything, especially nice new dynamic with RemoteTech! 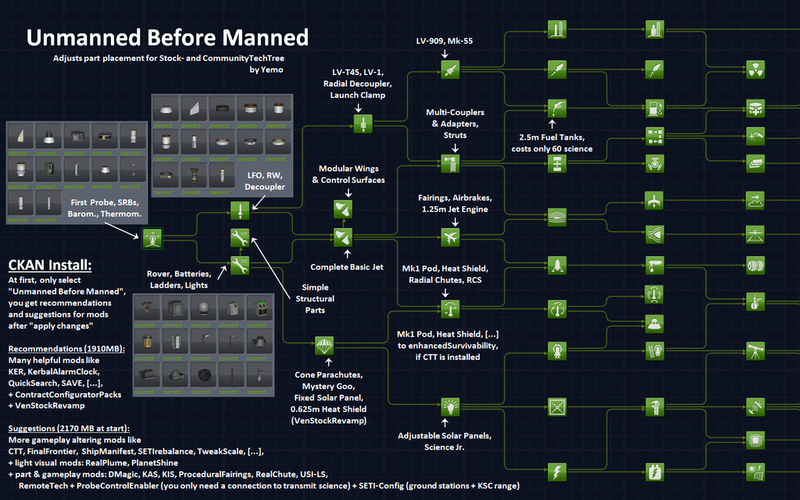 They can be completed by manned and unmanned vessels, and are thus especially helpful if you use another "starting unmanned" TechTree mod. The mod Contract Configurator by nightingale is required to use the configs. These Contract Configurator configs by nightingale and Yemo are based upon the general contracts of the SETI-BalanceMod. License: You may do what you want (change, expand, mix, redistribute as part of a larger package etc. ), as long as you provide the source (eg. SETI-BalanceMod with link) and credit for previous authors (eg. nightingale and Yemo) within the file(s) and at the reference locations (forum thread and download site). Hence you can just redistribute this file along with eg a tech tree mod under any (even a very restrictive) license as long as you give credit in the form mentioned above. While the SETI-BalanceMod can be played with the minimal mods (and unlisted mods), the focus of the rebalance is on a fully modded game (all of the listed mods or at least the bold ones). The guide reflects that priority hierarchy. The first sections are relevant for all types of installs and 2 different sets of craft files are provided in the download, one for minimal mods + procedural parts installs and one for FAR + procedural parts + other mods. The shown craft are the FAR+procedural parts+other mods craft variants. The minimal mods + procedural parts craft tend to be heavier and more costly due to the soupy stock atmosphere. The craft in section "2. Basic Vessel Design" can be used with only the bold mods installed (or you use the similar non-FAR craft files). From "3. Kerbin System" the provided craft might require some non-bold part mods as well, since getting further with minMods or just the bold mods is only a matter of adding deltaV. RemoteTech, TAC life support and Habitats are discussed from there on. SETI changes the functions of many parts and even adds new ones. So it is recommended to take another look at the part descriptions/modules, which you think you know from games without the SETI-BalanceMod. To get a first impression of SETI, I recommend a normal career game. You will progress relatively fast, but it will allow you to get a feeling for the Rebalances without too many restrictions. For a more epic game I tend to use the moderate difficulty settings with rewards set to 60% (left side selections are based on personal preference, but I strongly recommend keeping quicksave available, due to the buggyness of KSP). It is highly recommended that you use one of the craft sets provided within the download for your first game(s). Since this is a balance mod, it is advisable to design your vessels for the mission you want them to complete. While it is still possible to put 6 radially attached boosters around your probe core to reach space, do not be surprised if you run into trouble doing so. If you are not used to them, experiment with the procedural parts. After copying the craft files into your save, please visit the mission control building and select the first contract for reaching an altitude of 18km. I strongly recommend upgrading the mission control building early on, to be able to have 7 simultaneously active contracts. 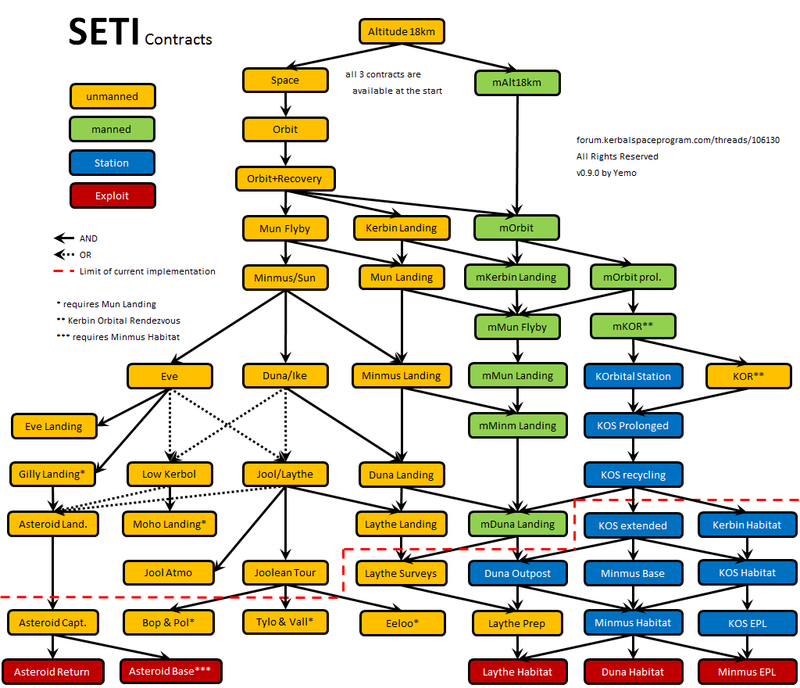 As you can see, SETI uses custom progression contracts, which partly replace the (buggy) stock contracts. It is also recommended to install other contract packs based on your mod selection (eg the RemoteTech ContractPack by nightingale, do not install other progression packs, like InitialContracts or the AdvancedProgressionContracts). The craft shown here are designed to complete the 3 initial contracts and allow the gathering of enough science to unlock at least one tech node after basicRocketry, dependent on your science reward settings. Those two jet designs are great for completing survey contracts on Kerbin and are especially FAR beginner friendly. While they are easily able to reach 20km altitude with their jet engines alone (using the right flight path), the Hybrid Rocket Boostes can help with that as well or just allow sub-orbital jumps to shorten the flight time to distant areas. The BasicJet can easily be converted into a prop plane by exchanging the intakes and jet engines for KAX props and backwards pointed nose cones. The Orbiter Designs work well for the "Orbit" and "manned Orbit" contracts. They are also a great starting point for the development of more advanced space vessels. For the "Orbit+Recovery" contract, do not forget to include a heat shield if you have DeadlyReentry installed. - biome dependent in SETI instead of EVA. With the right trajectory, you only need a couple hundred m/s deltaV to make a Mun flyby after reaching Low Kerbin Orbit and only a few thousand to land on the Mun or Minmus. The craft shown in this section require non-bold mods, like RemoteTech and TAC Life Support. From here on, the various deltaV maps for KSP are essential for further exploration and designs should be based on them and of course the Kerbal Engineer info. It is advisable (though by no means necessary) to upgrade some of your buildings, if you did not do so until now. One of the cheapest but most usefull upgrades is the Mission Control. This allows you to have 7 active contracts instead of the standard 2 contracts. The upgraded Tracking Station enables patched conics and together with the Mission Control upgrades, flight planning becomes available. To gather more science from space around Kerbin, Mun and Minmus, the first Astronaut Complex upgrade allows EVAs. lowering those restrictions increases the flexibility in vessel design. When mods like RemoteTech and TAC life support are used, they are especially helpfull, eg to enable multi-sat launches. The VAB upgrade enables basic action groups if you did not follow the mod recommendations in the OP and did not install ActionGroupsExtended with the career unlock. To make the next step into the mid game of KSP, you eventually need to upgrade your R&D building, which is rather expensive. Although Minmus is nearly as easily reachable as the Mun and far easier to land on, the expectable socio-cultural significance of the Mun and the easy transfer without patched conics and flight planning led to the decision to set the Mun as the first Kerbin system exploration destination. If you have Remote Tech installed, it is advisable to build up a basic communication network before leaving LKO for exploration, the RemoteTech contract pack by nightingale will help to fund such a network. The craft shown from this section onwards are only available in the "fully modded" craft pack (will be introduced in 0.8.4), since for the minmal and bold mods only installs, more deltaV is the only real necessity to go from LKO to anywhere. 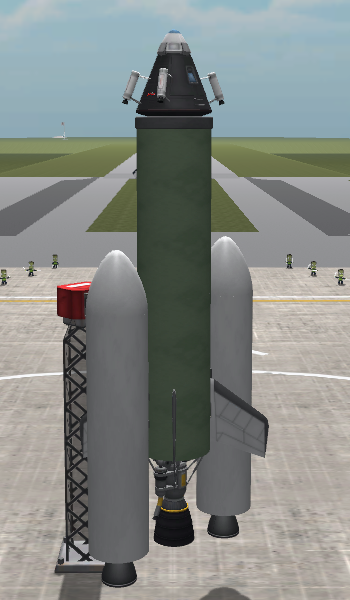 SQUAD/Parts/Engine - the 2 solid boosters "solidBoosterBACC" and "solidBoosterRT-10", NOT the third one "solidBoosterSep"
SQUAD/Parts/FuelTank - everything EXCEPT first one "adapterTanks"
SQUAD/Parts/Structural - "adapterSmallMiniShort" and "adapterSmallMiniTall"
BahaSP/Parts - "spotlightTurret", part.cfg files in "sRadialEngine", "trrEngine" and "retractableEngine"
KAX/Parts - "KAX_medFuselage" and "KAX_medJetFuel"
RLA_Stockalike/Parts/Structural - everything EXCEPT "ml_frames" and "sm_radialextend"
Modding brings diversity, so everyone may play the game according to their own preferences. Those mods are not compatible with SETI, they are alternatives, not complements. I started using this mod yersterday, I lost like four unmanned rockets and a significand amount of money (that's why I started a Foundrasing Campaign to compensate my losses), and I'm having a lot of fun. I have tryed some different tech trees or overhauls in the past, but this is by far my favourite for now. I love planes, and I'm now able to use planes with just one additional tech node enable besides the first one. That's pretty awesome. Note: At the begining I got 5 science points, and I was unable to open that second node, even if it costs five points. But after getting additional science data there was no problem. Not sure what might have caused it. Congratulations. You have made my Carreer Mode enjoyable again. I m really glad that you like the mod, even in this early stage. Giving players a variety of meaningful options/choices was one of the main goals and planes are an intergral part of that. I m trying hard to find a procedural parts texture, that fits better with the aerospace parts. Unfortunately I m not good enough at graphics modding to do it myself. Thank you for your post, it is really spirit lifting to get a response. PS: I m not sure about the 5 science issue. I would attribute it to some not shown decimal points which were rounded up for display, but not for calculation. I read about the same thing when launching vessels. It says 18.0t in the info panel, but when you want to launch it, it tells you that the vessel actually has a mass of 18.03t and is thus too heavy. I'll admit you've got me more than a little excited. I'm going to start a new instance of KSP with this mod to kick the tires, so to speak. YES. I wish in the stock game they had gone with this. Why have a 100 tank, a 200, a 400, and an 800? Why not give us a single fuel MK1 fuel tank and limit our ability to stretch it to tech level? Grrrr. Is there a list of parts you don't use? Preferably by name of directory so I can quickly delete them? If you plan on a longer game, I plan to release a significant update late this evening (UTC). It will at least provide support for KAS, RemoteTech and TAC. Maybe even some engine and science balancing. the other parts are all over the place and since the mod is still heavily WIP, some might change, and I didnt make a list yet. All sorted out parts are actually shifted to the previously unused tech node "experimental motors" for easier in game reference. The techtree config files for that sorting out all have the suffix "unused" and are generally ordered by mod. I like this one. I am wishing you could start out at the beginning. I don't mean Wright brothers, but a simple prop plane to run around local area, then a rocket and then a jet. Then we start putting kerbals into space and onto other planets. Does it support Community Tech Tree? I m not sure about the prop plane, I think the solid rocket is early enough for a space program and not everyone wants to fly with planes. This is one of the reasons, why SETI starts in that fashion. After essentially 5 science points, there are meaningful choices presented. Especially with mods, you can go to bigger rockets, planes or survivability (better parachute selection, heatshield, life support). Actually that was on my agenda, but I had too much to do with other stuff, rl and modding obstacles. I have not yet tested it, but I plan to do so. SETI only uses the stock tech nodes, so in theory it should work. I just released 0.4.0, with some major changes. The material bay and mystery goo canister science can not be collected anymore. I wanted to make it differently, so that you can collect, but only get the transmission value, but dont know how or if that is possible. On the other hand, the science lab now improves the transmission value 2 fold, making it much more useful. Also many engines are rebalanced based on the values of StockReBalance by stupid_chris. Some parts, like adapters, are available earlier and others got some changes (eg. the starting max diameter for the SRB is now 0.5, so that it doesnt overshoot the atmosphere in FAR. There are now dummy parts giving a general idea how to unlock larger fuel tanks (still temporary ones). I really like what you have done! It doesn't suit my playstyle, but it's great to see integrated mod packages -- with the endless possibilities of the KSP mod scene it's awesome to get some curated and integrated content like this. Realy, a great techtree for KSP. Nice job. Important: For people who already moved parts out of the instance, you need to get the 3 radial decouplers back. One major update is incoming in the next days, after that, it will be much slower progress. Waiting for full port of KSPI to 0.90. If I may make one suggestion, switch the Science experiment mask of EVA report and Crew report like it is done in Science Revised Mod, that way, you don't have to go to EVA everytime you fly over a new biodome while in orbit or flying in the atmosphere. This is not only much more convenient, but also makes much more logical sence as a High altitude EVA in orbit should not give any different science insight compared to a crew report behind a window. I am downloading this mod ! It looks exciting to play with and make me think about the old Realistic Progression 'Lite' Tech Tree from MedievalNerd. I hope to see the Community Tech Tree added to your mod, but with the Near Future Technologies instead of the KSPI. NFT is already integrated in the Community Tech Tree. Thank you for the suggestion, I included the code in the new SETI-settings.cfg. CTT is planned for the next major update, together with Karbonite and Kolonization. After that, progress on the mod will be much slower. I really like the heat mechanics from KSPI and some other dynamics from it. FreeThinker does a KSPI/NearFuture Integration and suggested a cooperation, which would be ideal. Proposed by "FreeThinker" based on "ScienceRevisited" mod by "CaptRobau"
I just installed this and I'm having an issue with one of the starting contracts. The contract to set a new altitude record of 5000m doesn't seem to complete, even though I just launched a vessel into orbit. I'm not sure if this is an issue with the SETI mod itself, or one of its dependencies. Is your vessel manned or unmanned? i seem to remember reading that completing that particular starter contract required a manned vessel. I'm flying an unmanned probe. Will try it with a manned launch. EDIT: That was the issue, thanks. I just noticed another possible issue though, in the basic rocketry tech node I get a procedural fuel tank, but no liquid fuel engine. Was there supposed to be an engine in this node? Yeah, the altitude contracts can only be completed by manned vessels. It is a combination of stock game bug (either remove the "manned" requirement OR state the requirement in the description) and strategic mistake from Squad (making those contracts not moddable). The basic rocketry tech node provides basic parts which are needed for more than one of the following nodes. Eg the fuel tank is used for the generalRocketry engines in mixed fuel mode and for the stability jet engine in liquid fuel mode. Another example would be the QuadNode from Universal Storage provided in basicRocketry, which can be used with wedges from generalRocketry (fuel) or survivability (food/water/oxygen). This mod is looking excellent and I would be using it except I'm already most of the way through the vanilla tech tree now. Next time though, I shall certainly try it! I love this mod. I really like removing the clutter. With regards to integrating Remote Tech, have you tried to use StockRT as this seems to keep with your philosophy more (http://forum.kerbalspaceprogram.com/threads/99869). Also, I've seen it suggested a few places and some home grown implementation, but I would love if RT would allow you to control the antenna ONLY if there is an uplink but no downlink signal to the satellite. This is both realistic (real satellites have safe and low gain modes if something fails and allow for hibernation) and removes a huge level of frustration of losing permanently a satellite from a single simple mistake. Finally, I'm not sure if it is your mod, but I notice I cannot use Kerbal Engineer with Satellites only with capsules during the flight phase (build phase works fine). Thanks a lot and looking forward to seeing how you implement MKS/OKS especially with the multipurpose module (http://forum.kerbalspaceprogram.com/threads/98251-Alpha-90-Multipurpose-Colony-Modules-for-MKS-OKS-%280-3-0%29). I looked at StockRT, but I felt the additional antennas from RT provide enough additional gameplay experience to justify their part slots. A fail safe sat configuration would be extremely helpful for RT. Honestly, for my own games I rather roleplay the remote tech part until such a fail safe is implemented (eg removing the ModuleSPU from the mechjeb AR202 gives it control capabilities like a manned vessel). About KER, I think it was recently changed in functionality. You now need either an engineer or the ER something case for in flight data. Though there was a way to deactivate this new "feature". Cant wait for Angel-125 to release the multipurpose modules, I will most likely wait for that before releasing 0.6.0. 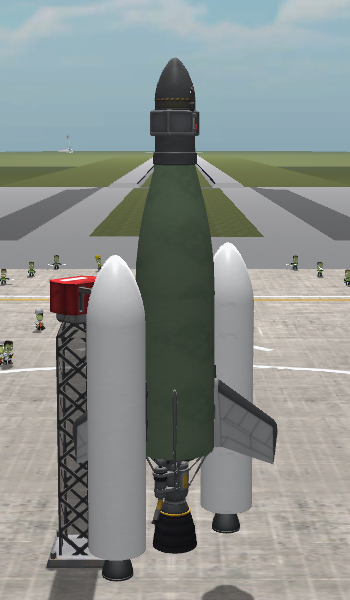 I installed this and most of the recommended mods (and a few of my own personal favorites) and I'm getting an odd thing: When I tell Jeb to go EVA on the launch pad, a Kerbal-shaped part appears named "Unknown Mystery Part" that has 5 eva fuel but is otherwise acts like a spawned part. I can't control it. Also, my focus remains on the pod and the little window says "Bailed Out!" If I use the [ and ] keys to switch to the part that looks like a Kerbal, and then back to the pod, Jeb's still in it. I wonder if this is an interaction between this mod, its dependant mods, and something I"ve installed. I've never seen either of those things ("Bailed Out!" and "Unknown Mystery Part") before so I'm hoping someone has seen this, before I start the laborous process of figuring out which mod is causing it.